If you’re like me, whenever I’m at home and steeped in my usual routine, I cannot start my day without a cup of delicious coffee. 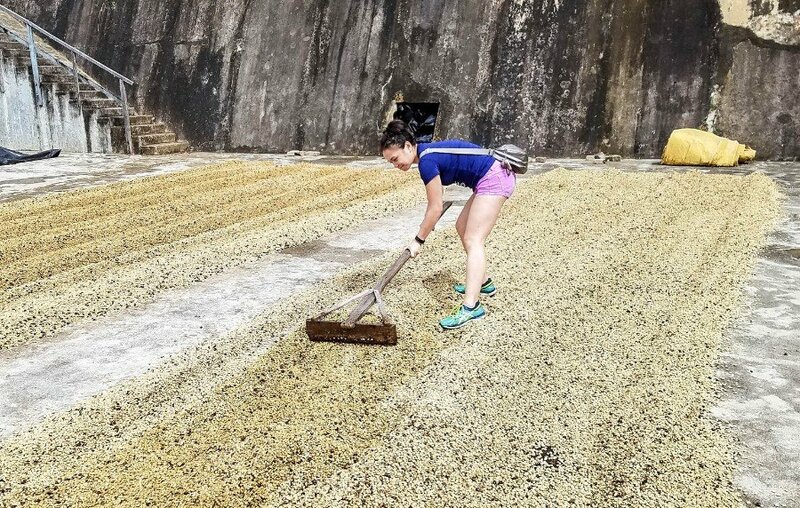 As the world’s most addictive drug, a trip to Nicaragua naturally included a visit to Cafe Las Flores, which has been cultivating coffee for three generations. 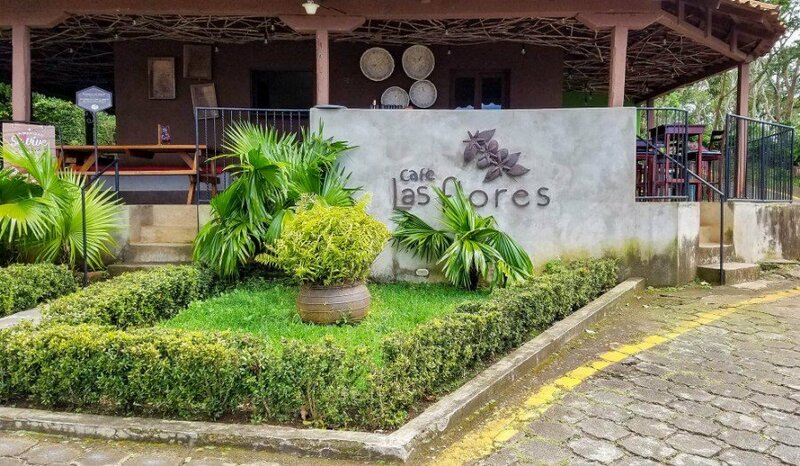 Situated along the slopes of Mombacho Volcano (we got there from Granada), Cafe Las Flores has been recognized by the Rainforest Alliance Certification for its sustainable and organic practices. 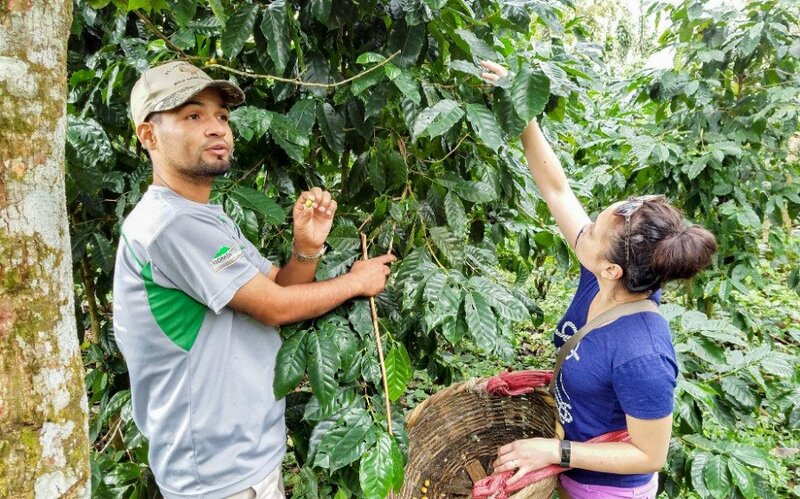 Cafe Las Flores offers tours that include a walkthrough of the coffee production process, which we kicked off by strolling through the plantation to pick up the few coffee cherries that were still available on the trees. Since we were there in December, we were nearing the end of the harvest season, but there were still a few lingering cherries to plop into our basket. 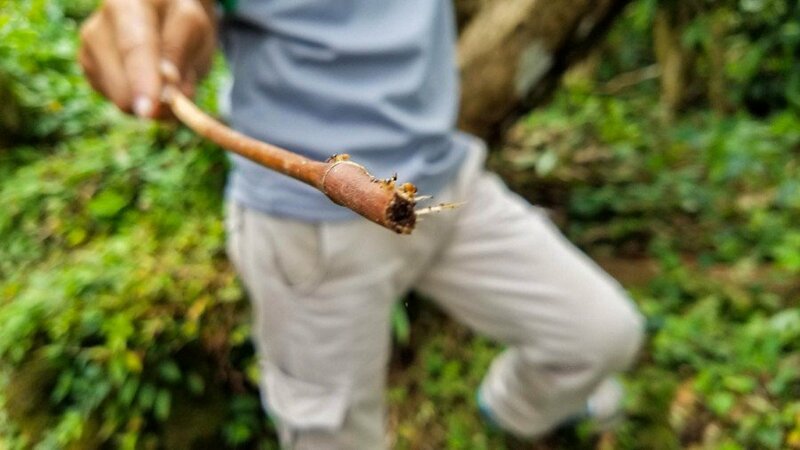 The terrain of the volcano slopes was also filled with a ton of fascinating wildlife – from tiny insects, reptiles, birds and apparently, even deer! 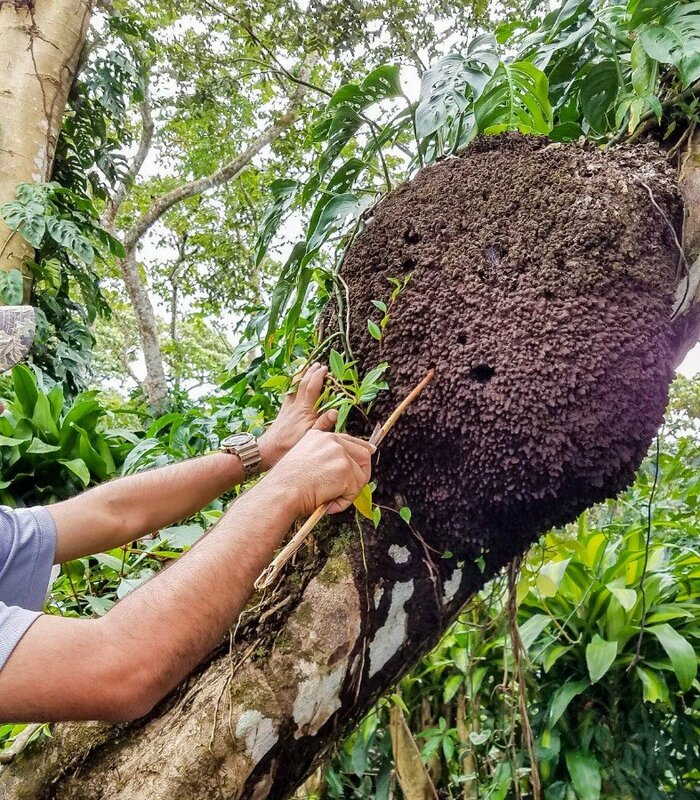 We were also able to spot quite a few termite mounds affixed to trees and sampled a bit of local protein along the way. It tasted woody, though not particularly crunchy. 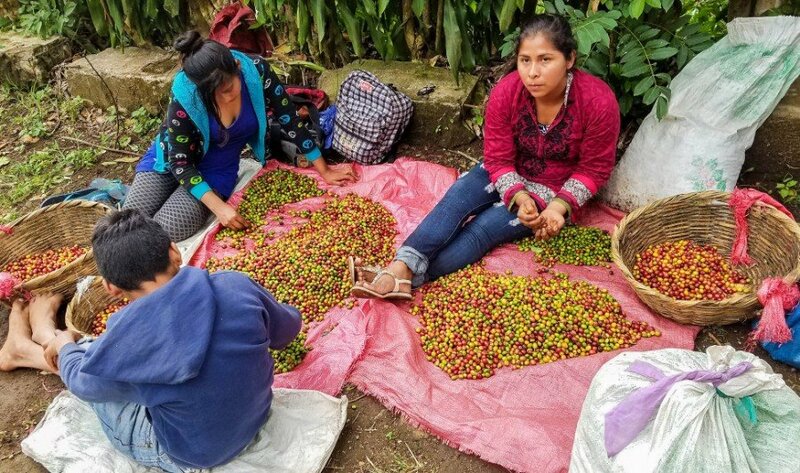 After picking the cherries and sorting them, we checked out the next step, which is separating the skin and pulp from the bean before laying them out in the sun to dry in wide expanses. They are then milled further, removing the husk of the coffee cherry. Who knew that every coffee cherry has three layers? 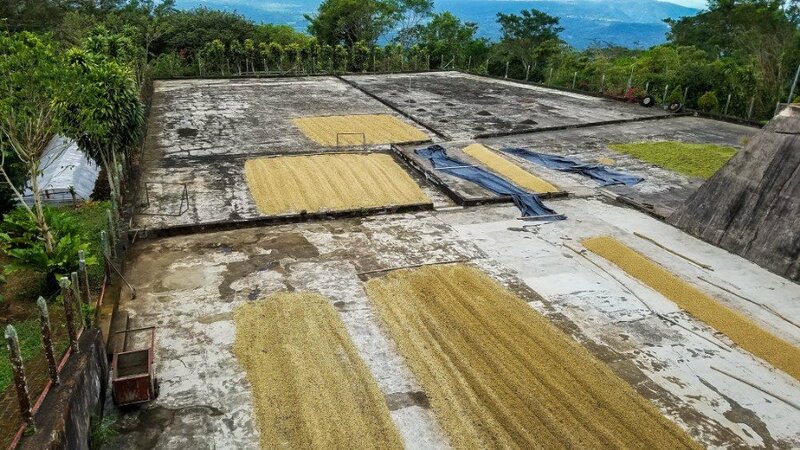 Cafe Las Flores meticulously sorts through its coffee, with the lesser grade beans sold to other suppliers to make instant coffee. For the roasting, turns out that light roast beans have more caffeine in them, but it’s all a matter of preference on which roast you like best. After the coffee tour, we strapped into harnesses and helmets to go ziplining across the treetops along Mombacho. 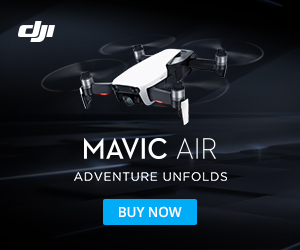 Check out the video from our experience here – Zipling in Nicaragua. What better way to relax than with a cup of coffee or two? There are food options there as well as different espresso, lattes, and flavored coffee drinks (iced and hot). Being there before Christmas, we tried out a couple of holiday-themed lattes as well as more traditional hot drinks. 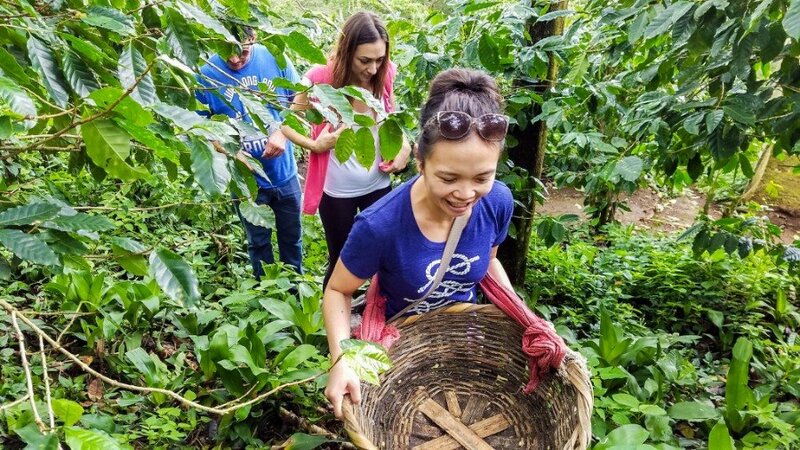 And with that, we’d completed the final step of our coffee tour – from seed to cup. 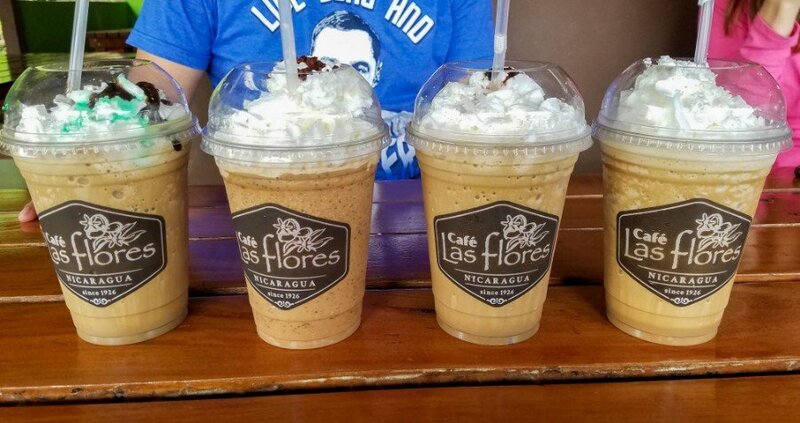 Cafe Las Flores is a short drive from the picturesque town of Granada and well worth a visit on your trip!